Branded Cards – get YOUR message across! Safe, quick and correct tick removal. Click here to see some samples of past work. Click here to see all the price details on a PDF File you can print out or see below. We offer layout options etc. for free. Artwork modifications/creation as per separate quote. Please note: reasonable printing alignment tolerances apply (about 0.5mm max. 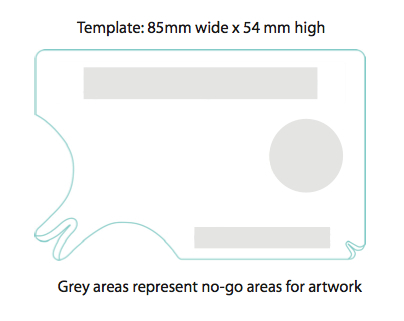 ), which is especially important when considering two colour printing, as the alignment may vary a bit. Please send us your logo as you would like it, keeping in mind what space is available. We offer hot-foil block printing in single and two colour. Click here to see the range of print colour choices. • for two colours £66.67 (= £80 incl. VAT). 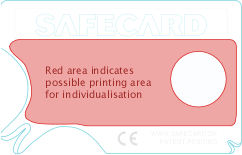 Completion: printed cards – inserted in Polypropylene plastic wallet and inserted in TickCard outer paper-card, containing full instructions and helpful information. 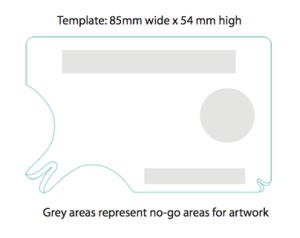 Click here and scroll down to see how your branded cards will be inserted in the outer card. Folded and packed with rubber bands in bundles of 12 into bulk cartons. Please let us know if you have any specific requrements. Clip Strips and Displays Stands are available if needed. Payment: 50% due with order — remainder due prior to dispatch. Quantity: Quantity may vary by +/- 10% due to production processes/rejects. Final invoice balance will vary accordingly. Delivery time: delivery approx. 4-6 weeks after receipt of deposit and approved artwork. Delivery: free to one UK address. Outside UK please enquire. Issue 1/2014 – Prices and terms may change without prior notice. See all the details on a PDF File you can print out. Template for your artwork: copy jpeg below or click here for pdf.